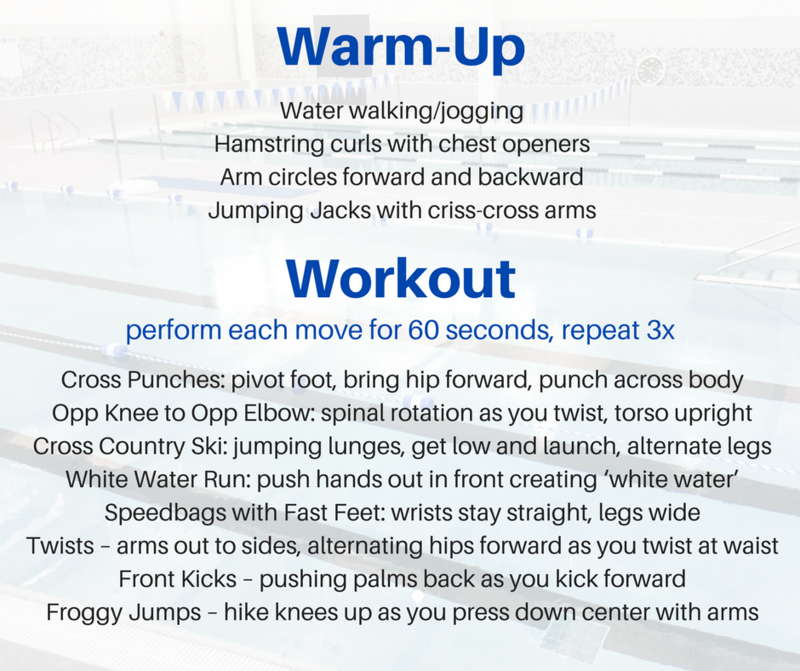 If you’re not ready to give up your swim suit quite yet, stop by the pool for this full body workout! Begin with the warm-up for about 5 minutes and then begin the workout. Perform each move for 60 seconds and repeat the circuit three times. End with a cool down and stretch. Happy splashing! For more workouts, click here.